Durkle Disco is a Bristol-based record label with bass at its very core. First conceived as a place where grime, garage, hip-hop and dubstep could combine and entwine – with just as much attention paid to the MCs as the producers – the label has since evolved to become a natural home for the new strains of instrumental bass-driven music coming from Bristol’s next unstoppable wave of production talent. 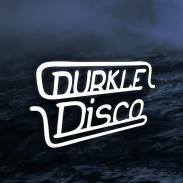 OH91, Lamont, Unkey, Lojik, Arkane Soul, Carlos & Blunt are just some of the producers to call Durkle Disco home right now, while the likes of MC collectives Central Spillz and rapper Mistafire help give the label a unique vocal edge. As a mark of the respect Durkle holds within its world, the label’s tracks have undergone the remix treatment from some of bass-driven music’s biggest names. Kahn, Starkey, Mensah & Eddie K and, most recently, Zed Bias and Hi5ghost have given some of the imprint’s finest moments their own individual twist.